People often talk about how important it is to stay in shape, something humans usually can accomplish with exercise and a healthy diet, and other habits. But chances are, few of us ever think about the shape of our individual cells. 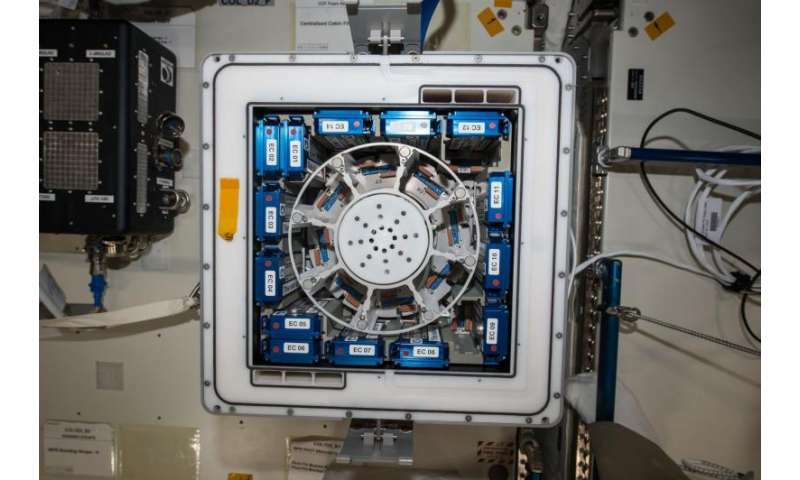 An experiment aboard the International Space Station looked at how cells change shape in microgravity and the ways those changes affect their function. Cells have a cytoskeleton, a matrix of proteins that serve as a rigid structure for a cell much as our bones serve as a skeleton for our bodies. The Cell Shape and Expression, or Cytospace, investigation examined how physical forces - including shear stress, stiffness, surface tension, and gravity - change the relationships among these proteins, interfering with cell architecture and changing the geometric form, or shape, of the cell. These changes in cell shape in turn affect certain signaling pathways in the cell and alter its patterns of gene expression. "These cytoskeleton modifications enhance reframing of the cell shape and lead to significant changes in cell function and behavior," explains principal investigator Marco Vukich, Ph.D., with Kayser Italia in Italy. Shear stress in particular is known to cause several changes that can result in cell death and that affect cell division and permeability in addition to gene expression. In microgravity, this series of events - a change in cytoskeleton structure leading to alteration of the cell shape and, then, biochemical and genetic changes in the cell - ultimately result in impairment of biological function and can even lead to disease. 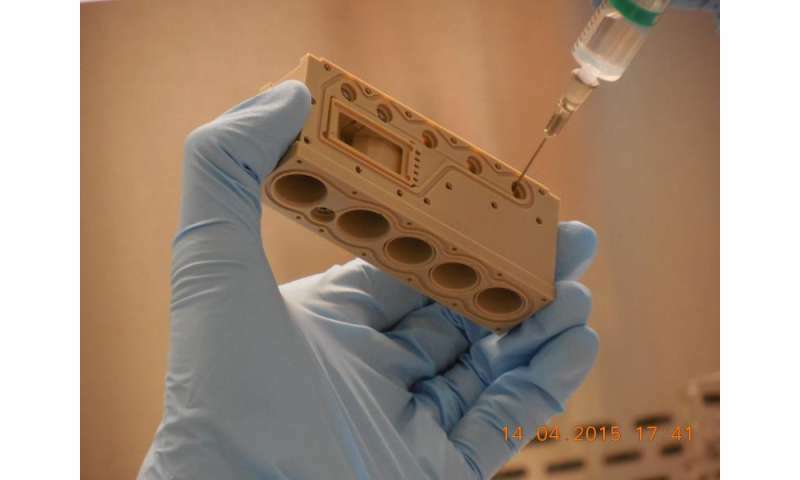 Researchers suspect that microgravity can cause these changes in the cytoskeleton structure and subsequent gene-expression changes. If the research confirms this correlation, then it may be possible to address some of the negative effects of microgravity by stabilizing the cell cytoskeleton. For example, there may be drugs that could be used to counteract damage to cells caused by exposure to microgravity. The cell cytoskeleton is involved in several human diseases here on Earth as well, including connective tissue diseases, cancer, and osteoporosis. "Several human diseases are known to have a more or less dramatic involvement of the cytoskeleton," says co-investigator Alessandro Palombo, Ph.D., department of molecular and clinical medicine at Sapienza University of Rome. "Cytoskeleton changes are thought to play a pivotal role in orchestrating the cross-talk among cells and their microenvironment. Disrupting that cross-talk is likely to foster both cancer onset and its progression." A better understanding of the relationship between cell shape and gene expression could advance development of drugs to treat these diseases, too. For the investigation, breast cancer cells were cultured at normal gravity on the ground, in simulated microgravity on the ground, and in true microgravity aboard the space station. The cell cultures sent into space were returned to Earth for analysis. Before long, astronauts and those of us here on Earth may be giving more thought to keeping our cells in shape, along with our bodies.